I recently had the adrenaline-fueled pleasure of attending the Supercross Monster Energy Cup in Las Vegas, Nevada. The song of screaming dirt scooters reverberated throughout Sam Boyd Stadium as the beer flowed like wine and the ferocity of high-speed competition was truly spectacular to behold. 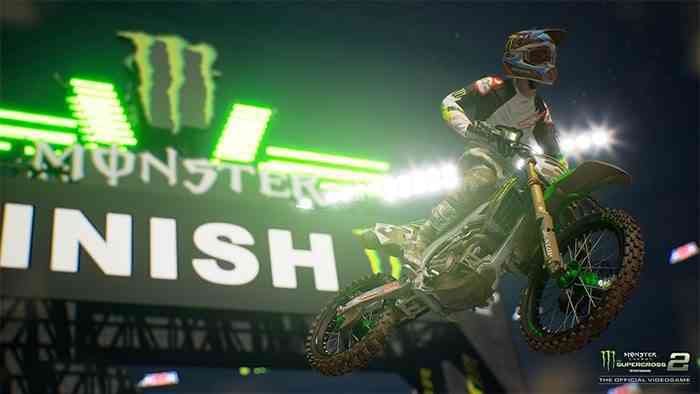 In the midst of the chaos lied the announcement of Milestone’s Monster Energy Supercross 2, the much-anticipated sequel to last year’s official video game. Naturally, I spent some time with the current build and was unsurprisingly blown away by the presentation and new mechanics. What’s more is Milestone has invested considerable time ensuring the follow-up to last year’s title is bigger and better in several more ways than one. The primary focus of Supercross 2 is immersing the player into the life of a professional rider. In the new career mode, you’ll manage sponsorships, engage with the media and fans, face off with your rivals, and participate in many activities on four new tracks designed to challenge your skills. Included is a compound area with a dynamic day, night, and weather system. 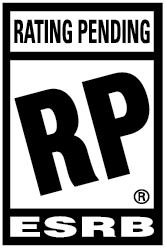 There you can hone your abilities and invite other pros to race while free roaming. Personalization is more prevalent than ever with the addition of over 3,000 items designed to customize your clothing on and off the track. From a plethora of Motocross gear to accessories like jewelry and tattoos, you’re able to outfit your rider to your liking as well as customize their physical appearance. If you’re more concerned with the performance of your bike, you’re in luck. Over 300 mechanical parts are awaiting your discretion. The depth of customization practically knows no bounds and significantly contributes to the overall immersion of living the life of a pro. More than 80 official riders from the 2018 season are making an appearance. If you’ve played any number of Milestone’s games in the past, you’re aware of their graphical prowess. Between 450SX Class champion, Jason Anderson, to the winner of this year’s Monster Energy Cup, Eli Tomac, each official rider appears nearly picture perfect. NRG and Raymond James stadiums join the roster of seventeen total tracks and include new features that reflect the exciting atmosphere of a Supercross event. TV cameras capture and display your highlights on the big screens, fireworks light up the stadiums, and you’re able to boast your wins with a series of celebratory emotes. If you exhaust the tracks included at launch, don’t fret, as the highly cherished Track Editor is returning with brand new features. The realistic physics and visuals of the first game left a lasting impression on me. A short year later, Milestone has gone above and beyond with Monster Energy Supercross 2. It’s absolutely gorgeous, of course, and feels even better to play thanks to the new Advanced Inertial Response and Real Terrain Collision systems. I’m no developer, so I’m unable to explain the science behind it, but what I can say is controlling your bike in midair is far more responsive and shredding the tracks is tricky in a good way. Traversing the tracks requires focus and discipline. Overcoming your opponents isn’t just about speed, but understanding how to properly conquer jumps and turns and when to accelerate. Thankfully, a new trajectory marker called the Dynamic Flow Aid (similar to road guide in the Forza series) is available for novice players. Monster Energy Supercross 2 is shaping up to be incredibly rad; there’s no more straightforward way to put it. 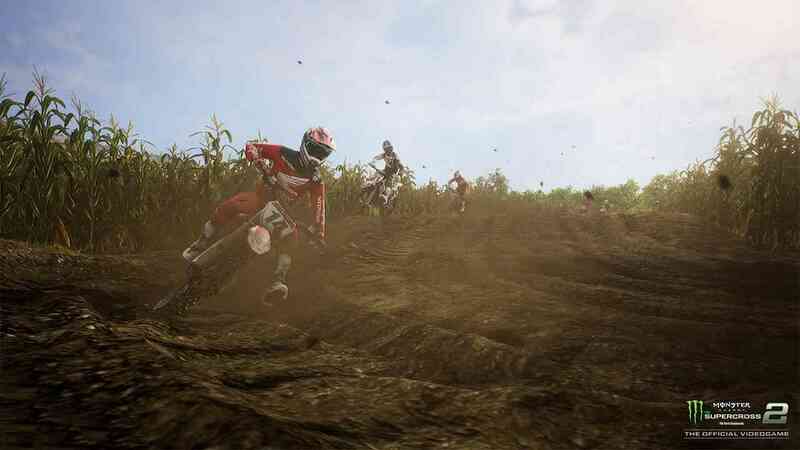 Milestone is seemingly crafting the most impressive and accessible Supercross video game to date. I’m not an avid fan of the sport, but the inclusion of deep player customization, the experiences of a pro rider on and off the track, and refined mechanics have undeniably piqued my interest. I really can’t praise my experience with the demo enough. For more on the game and the Monster Energy Cup, you can’t check out our interview with Milestone’s Marketing Manager, Andrea Loiudice, above. 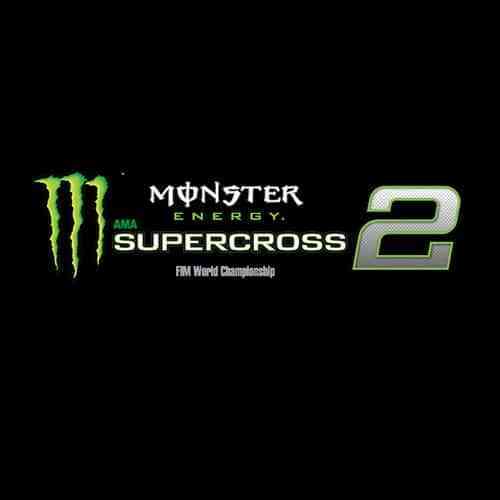 Monster Energy Supercross – The Official Videogame 2 launches on February 8, 2019, for PS4, Xbox One, Nintendo Switch, and PC.